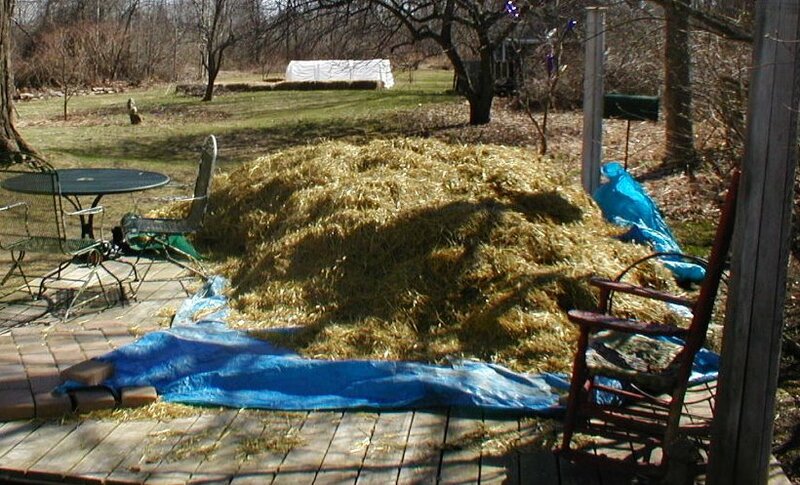 A guy we know in town is building a straw bale house, and had a big beautiful pile of organic wheat straw tailings. So, to make a long story short, we now have 8 pickup truckloads of gorgeous chopped straw. It is currently piled on the freestanding deck, until the ground firms up enough to get it back to the vegetable garden. We put some straw on the perennial beds in front, but we will use most of it on the vegetable garden, once the soil warms up enough and we finish turning the soil with the broadfork. I did turn a short row today, but I'd been hard at it since 7 am and ran out of steam. I love the broadfork. It is fairly easy to use and silent... no noisy smelly rototiller to scare the birds away. 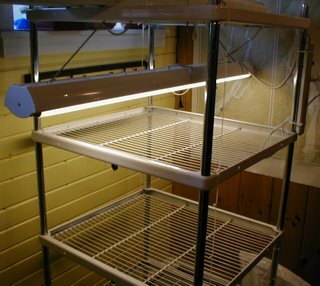 I hope we don't get too much rain this week, and that we have good dry sunny weather next weekend so I can get the garden turned and the peas planted. Plant your peas by tax day, eat peas for the 4th of July.... let's see if we can manage peas for Independence Day this year. 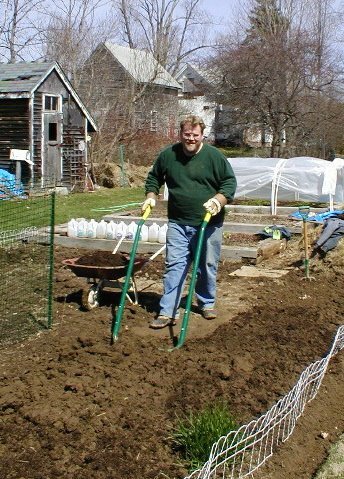 Here's an old picture of Dan with the broadfork in the garden.